Thousand Oaks, CA – August 2017… Sterling Audio announces a new line of high-value professional microphones for studio recording. 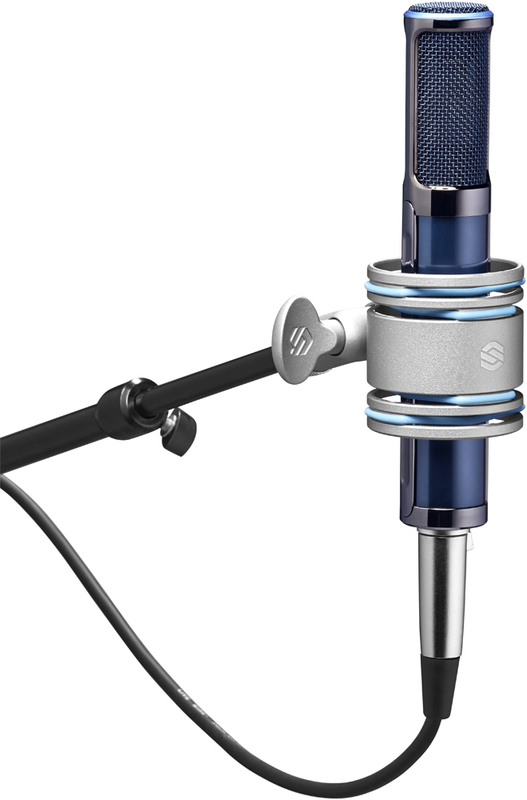 The line includes six individual microphones, a two-microphone package, and two new shock mounts. Ribbon microphones hold a special place in the hearts of recording engineers for their ability to capture high-frequency detail. Sterling Audio’s new ST170 Active Ribbon Microphone is all of that and more. Sporting a Figure-8 pickup pattern and bringing a rich presence and warm bottom-end, the ST170 enables your mixes to come together quickly without requiring extensive EQ. It’s a great choice for modern mixes of electric and acoustic guitars, drums, vocals, and overhead/room tracks. The active phantom-powered design delivers the optimal output level to hit the tonal sweet spot of mic preamps, and the ST170 easily handles up to 132 dB SPL for loud sources like guitar amps and drums. 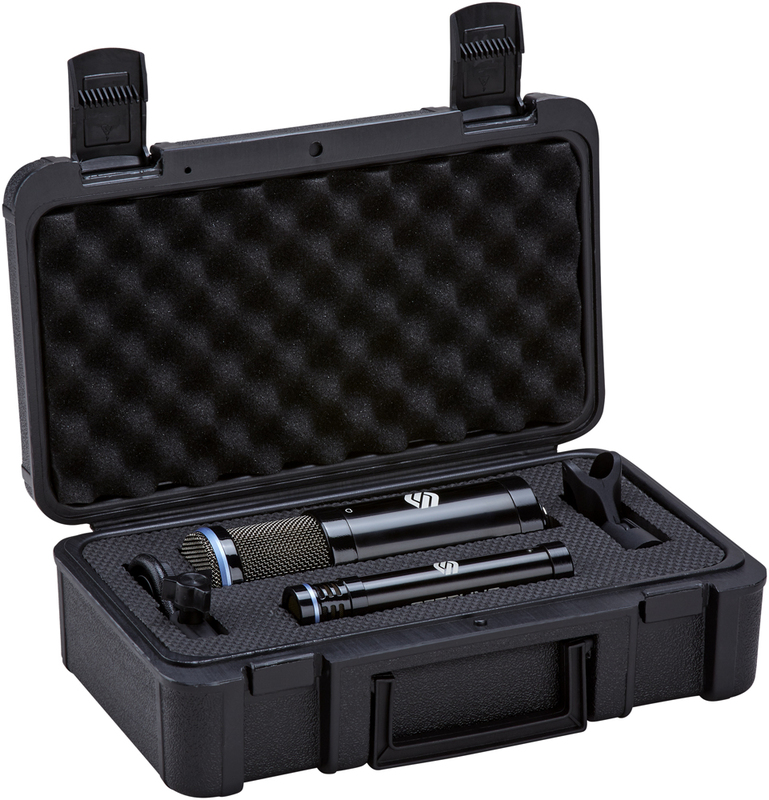 The ST170 comes with Sterling Audio’s SM5 metal shock mount and sturdy aluminum carry case. Nothing quite matches the smooth warmth of a fine tube condenser microphone, and Sterling Audio’s new ST169 Multi-Pattern Tube Condenser Microphone delivers the proof every time you use it. Ideal for vocals, instruments, speech, and overhead/room recording, its combination of new and traditional technology results in a full frequency response and quick transient response, without sacrificing authentic tube warmth and tone. Selectable cardioid, omni, and figure-8 polar patterns and a switchable highpass filter and attenuation pad, along with the ability to handle up to 142 dB SPL, make this 1-inch diaphragm, Class A tube condenser unbeat-able for sheer versatility. The new mic comes with Sterling Audio’s SM8 premium metal, band-suspension shock mount, aluminum carry case, and low-noise power supply. Sterling Audio’s ST155 Large-Diaphragm Condenser Microphone features a 1-inch large-diaphragm and delivers warm, richly detailed, smooth, and articulate sound, perfect for recording vocals, instruments, and speech. Its hand-assembled capsule and custom-wound transformer make it a standout in its class. The ST155 provides additional versatility, thanks to its switchable highpass filter and attenuation pad, and can handle up to 144 dB SPL from 20 Hz to 20 kHz. It comes with Sterling Audio’s SM8 premium metal, band-suspension shock mount and a custom-padded carry case. To capture instruments with outstanding clarity and subtle detail, choose the new Sterling Audio ST131 Studio Instrument Condenser Microphone, which features a hypercardioid polar pattern. Sterling Audio’s ST151 Large-Diaphragm Condenser Microphone sports a custom-wound transformer and hand-assembled, 1 inch capsule, and offers a cardioid polar pattern, making it a fine choice for a variety of recording applications. The Sterling ST159 Multi-Pattern Condenser Microphone’s selectable cardioid, omni, and figure-8 polar patterns and other features will make it the most versatile mic in your collection. Sterling also is shipping the SP150/130 Studio Condenser Microphone Pack, which provides two professional Class A FET cardioid microphones that enable you to handle the widest possible range of recording situations. The side-address SP150 delivers articulate and detailed vocal, instrument and speech recording, while the end-address SP130 instrument mic captures fast transients with outstanding clarity. 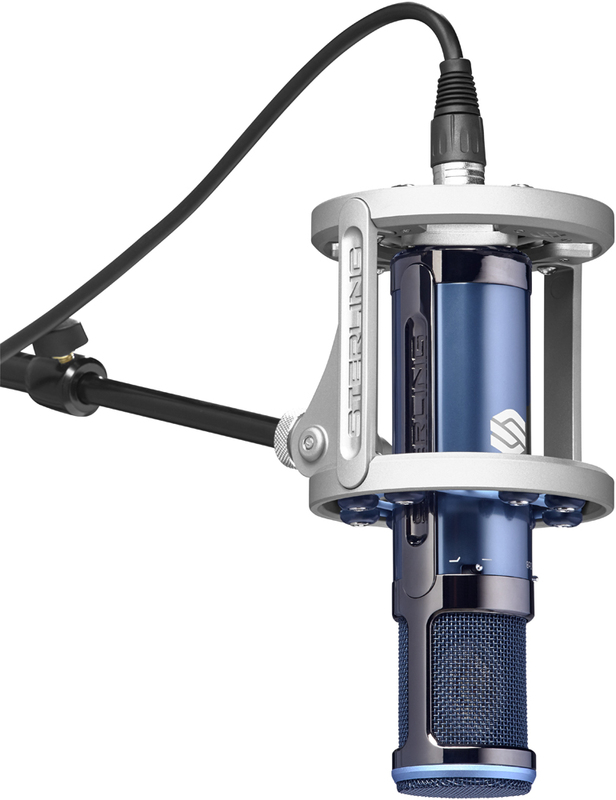 Finally, Sterling has released two new shock mounts: The SM5, which can accommodate a variety of medium-body (1.2 to 1.7-inch) studio microphones and the SM8, which fits any Sterling large-diaphragm microphones (1.6 to 2.4-inch body diameter). With prices ranging from $99.99 to $499.99, these outstanding new microphones are truly unmatched values. For more information, please visit www.sterlingaudio.net.